Who knows me also knows that I like to ride by bicycle ;-). Also see my posts in the category “bicycle”. 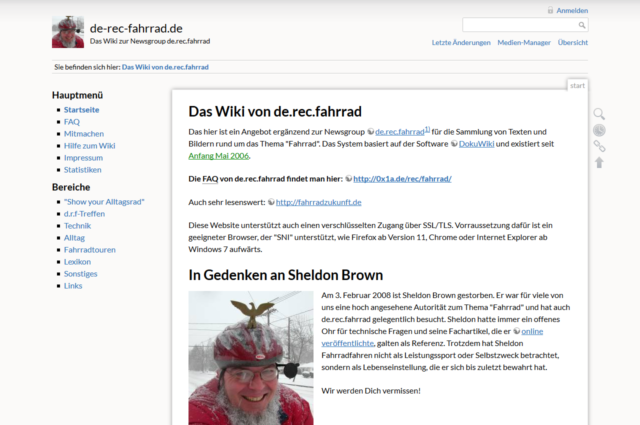 Since I’ve been participating for a long time in the German speaking usenet group de.rec.fahrrad I started to build a Wiki for the participants of this group in 2006. Of course it is open to any other visitor as well and contributions are always welcome!